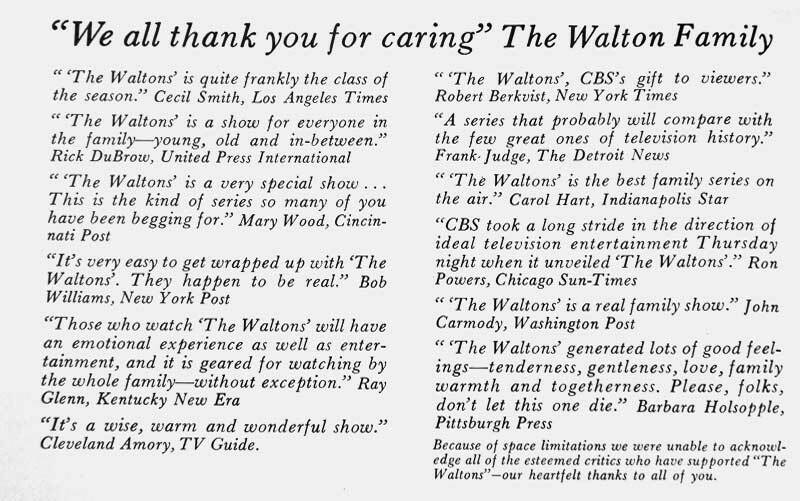 What started as a program that few thought would succeed, went on for nine successful seasons and six movie specials to date. 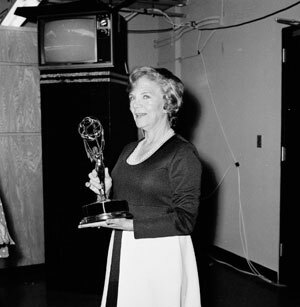 As the show gained popularity so did its honors and awards. 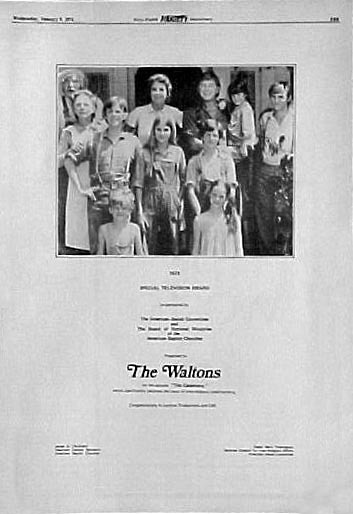 In its second season "The Waltons" would finish second in the ratings to "All in the Family " knocking Flip Wilson and The Mod Squad out of Thursday night's top spot. 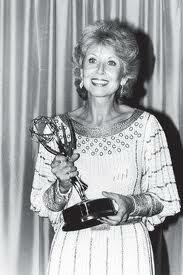 It stayed in the top 20 programs for 6 of it's 9 season's. 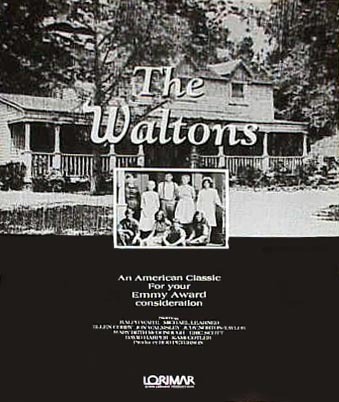 The Waltons would win 20 Major awards including 13 Emmy Awards & 56 Nominations. 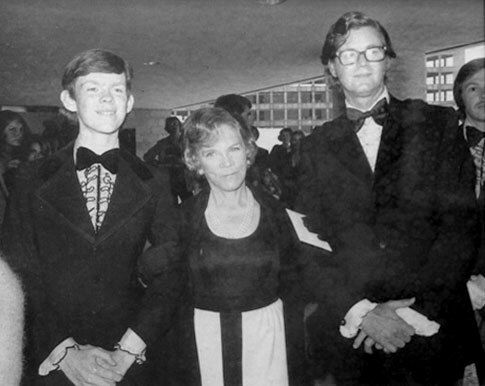 The Waltons - Robert Butler for "Dust Bowl Cousins"
Patricia Neal - "The Homecoming A Christmas Story"
Something funny happened on the way to the Emmys... watch Richard Thomas' humorous acceptance speech for Outstanding Lead Actor in a Drama Series for his work on The Waltons at the 25th Emmys, 1973. 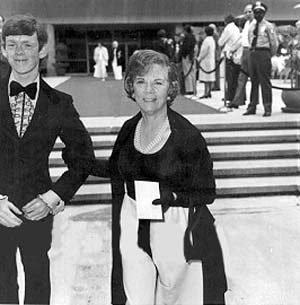 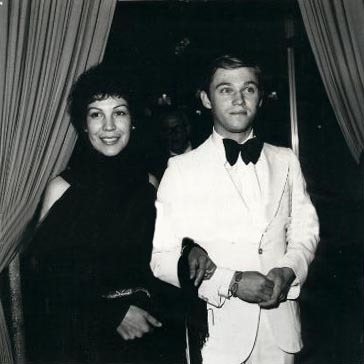 Enjoy two beautiful acceptance speeches by Ellen Corby and Will Geer as they win Outstanding Supporting Actress and Actor in a Drama for The Waltons at the 27th Emmys, 1975. 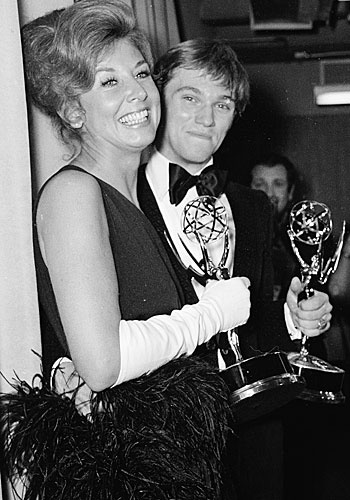 Richard Thomas accepts the 2nd Annual "Favorite Television Drama" People's Choice Award for The Waltons. 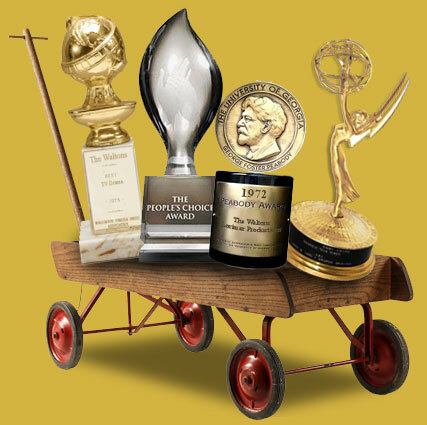 2 special trade ads used to spark the Emmy nomination interest of industry voters. 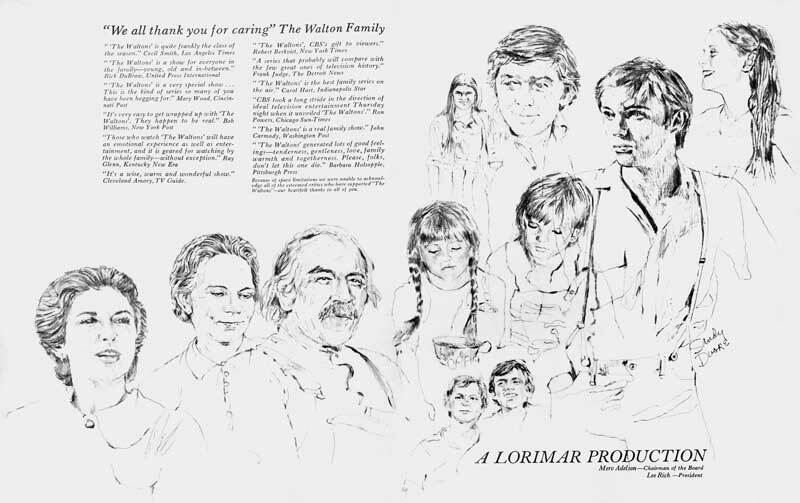 Another Emmy nomination promo ad.